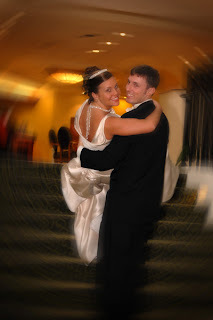 Saturday, May 26, 2007 we were able to shoot a wedding at Madison Avenue Baptist Church followed by a reception at Airport Hilton for Cara Harris and Jordan McAmis. We went to a park prior to the ceremony which allowed for some nice shots of the wedding party. Jordan and I are cousins and we come from a family of picture people, as you can see, they were a very cooperative couple, not to mention beautiful. We are very happy for Cara and Jordan and hope that they are having a wonderful honeymoon. click hereto view their slideshow.